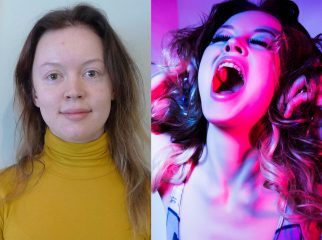 The modelling industry is becoming more diverse as agencies, photographers, and casting directors are seeing an increasing number of disabled models who are making history and breaking down barriers. Here is a list of 20 disabled models who are making waves in the modelling world and how they got their starts in the industry. 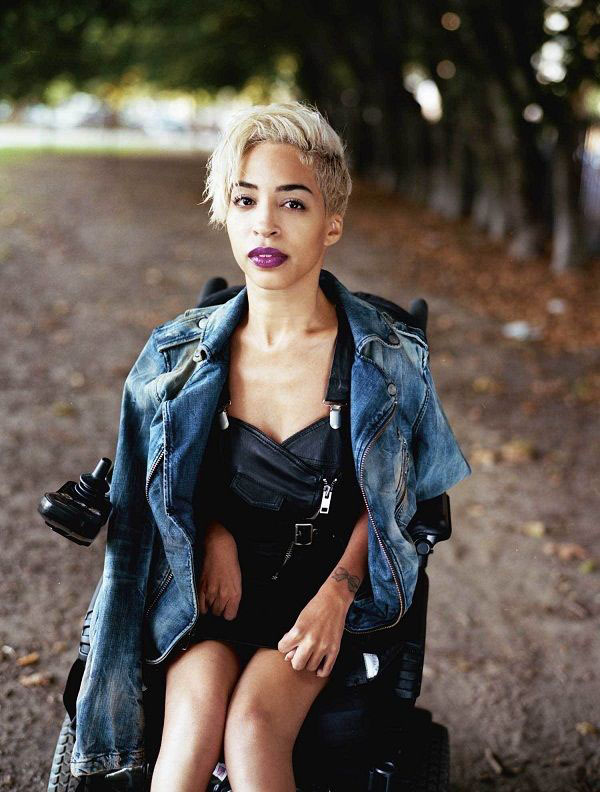 Jillian Mercado is a wheelchair user due to muscular dystrophy and is breaking down barriers in the modelling industry. When she was a university student studying fashion marketing in 2006, Jillian had the desire to model; however, after doing some research, she concluded that it wouldn’t be possible because there were no other models in wheelchairs at the time. 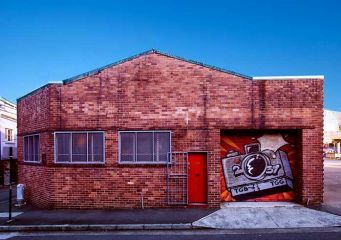 But in 2014, a casting call for an ad for Diesel Jeans was put out and Jillian responded without a second thought—the artistic director of Diesel, Nicola Formichetti, picked her for the campaign and she has not looked back since. Jillian has appeared in campaigns for Target and merchandise ads for Beyoncé’s Formation tour. She points out that although she’s elated to be living her dream as a model, there are certain movements and poses that are uncomfortable or impossible for her to do, and many shoot locations are inaccessible and not wheelchair-friendly. Jillian also worries that companies will only hire her because of her disability, perhaps for good publicity, instead of for her modelling skills. Debbie van der Putten lost her right arm in a bus crash in 2005. Three years later in 2008, Debbie competed on Britain’s Missing Top Model, a reality TV show following disabled models as they compete for a photo shoot with John Rankin Waddell and a cover in Marie Claire. Although she didn’t win the competition, she went on to be the face for the Models for Diversity campaign and has posed for glamour shoots for Ampworld. In 2003, Sophie Morgan was involved in a car crash which resulted in her being paralysed from the chest down. While she was in the hospital recovering, Sophie worried that she’d never be able to live a normal life if she was dependent on a wheelchair. That couldn’t have been further from the truth. She competed on Britain’s Missing Top Model in 2008 and although she didn’t win the competition, she was quickly picked up by Stella McCartney. Sophie went on to model for the adidas by Stella McCartney Olympic campaign in 2012 and was featured on a giant billboard on Oxford Street in London. Nowadays, Sophie is working on convincing retailers to feature disabled mannequins in their storefront windows; she’s even designed a fiberglass display wheelchair called Mannequal that can seat a regular mannequin, which has been put on display in Debenhams in London. Aimee Mullins had both her legs amputated below the knee after suffering from fibular hemimelia. She shot to stardom when she became one of the world’s first disabled models, opening for Alexander McQueen’s runway show in London in 1999; she remained one of McQueen’s muses until he passed away in 2010. Aimee has been featured in Harper’s Bazaar, Elle, i-D, Another, Numero, Garage Magazine, and Vogue, as well as gracing the cover of Dazed & Confused and appearing as the face of L’Oréal Paris. Aimee is also a renowned Paralympian, excelling in sprinting and long jump, and is an accomplished actress. Hailing from Ukraine, Alexandra Kutas claimed the title of the world’s first runway model in a wheelchair as well as Ukraine’s first fashion model with a disability. Alexandra modelled on the runway during Ukraine Fashion Week in 2015 and a couple of months later unveiled a photography exhibition called “Break Your Chains” alongside photographer Andrei Sarymsakov in an effort to break down society’s stereotypes and negative perceptions of people with disabilities. She participated in a show for Runway of Dreams in association with Tommy Hilfiger and helped produce the world’s first fashion video featuring disabled models. Alexandra says she’s inspired by Alexander McQueen for using a disabled model—Aimee Mullins—both in his shows and as his muse. Viktoria Modesta has been modelling since she was 15 years old. However, she felt held back by a birth defect in her left leg, so she made the decision to have the leg amputated. Most doctors refused to perform the amputation because of ethical reasons, but Viktoria was finally able to find a doctor to perform the surgery when she was 20 years old. To begin with, she modelled without a prosthetic, but eventually transitioned into wearing different prosthetic legs for different outfits and shoots; she’s become known for her bold, avant-garde prosthetic legs, such as a leg covered entirely in Swarovski crystals, or a pointed black cone-shaped prosthesis. Viktoria has appeared in i-D, The Times, PRS Magazine, Notion, LOOK, Wonderland, and Grazia UK and Italia. She is inspired by Alexander McQueen and Matthew Barney and is currently working on developing a prosthesis-focused fashion business. 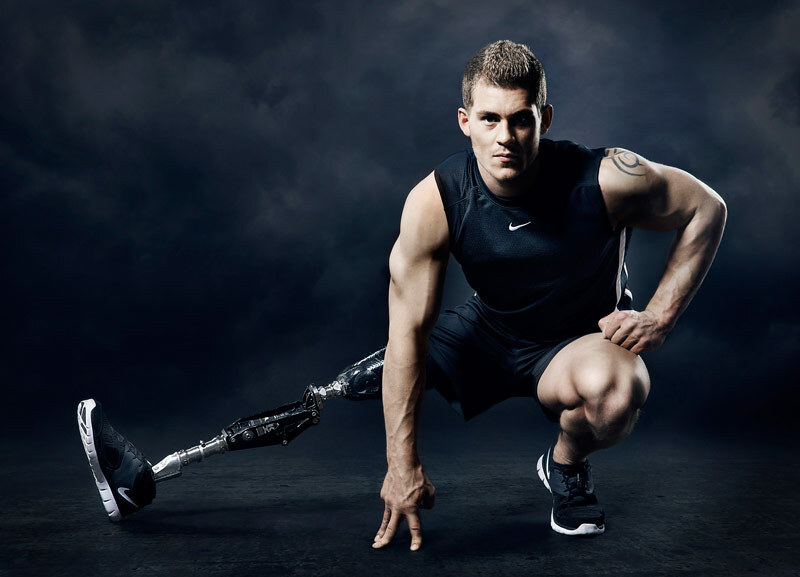 British Jack Eyers is a male disabled model and personal trainer who wears a prosthetic leg after having his leg amputated at 16 years old due to a medical condition. Jack claims that he considered himself disabled before having his leg amputated; after he got his prosthesis fitted he was free to do things that he couldn’t previously do. In 2015, he became the first male disabled model to walk in New York Fashion Week. He has also walked in London Fashion Week in the Teatum Jones A/W 17 show and was crowned Mr. England 2017, making him the first amputee to earn that title. Jack aspires to be a great model and personal trainer as well as a role model to other amputees and disabled people around the world. 34-year-old Kelly Knox was born without a left forearm and refuses to wear a prothesis. She competed alongside Debbie van der Putten in Britain’s Missing Top Model and ended up winning the competition. She has walked in Pakistani Fashion Week, Teatum Jones’ A/W 17 show at London Fashion Week, and has appeared in Marie Claire UK, Marie Claire China, and Glamour, and has modelled for SLiNK. Kelly is also a mother and a regular blogger for Huffington Post UK. Melissa Koole is an accomplished plus-size model; last year she revealed that she has Asperger’s Syndrome, a form of Autism. Melissa admitted that she was worried that brands and bookers wouldn’t hire her if they knew she was Autistic as the fashion industry is a very social industry and those with Asperger’s often struggle when it comes to communication and social interaction. However, her career has not been hindered whatsoever since going public about being Autistic and Melissa has become an advocate for the Autistic community. She has modelled for Coach, Eloquii, and Vera Wang, has walked the runway for Addition Elle, and appeared in Indie Magazine. She hopes to empower and inspire others who are scared that Autism will limit their opportunities. Born and raised in California, Lauren Wasser has been modelling since she was a teen. She has been featured in Time Magazine and People Magazine and has walked in countless runway shows, including the Kenneth Cole F/W 16 show, the Chromat F/W 16 show, and the Chromat S/S 17 show in New York Fashion Week. In 2012, when Lauren was 23, she lost her right leg due to a nearly-fatal bout of Toxic Shock Syndrome and began rocking a golden prosthetic leg. In January 2018, she had her left leg amputated due to ongoing complications from the TSS. Lauren is now an advocate for TSS awareness and prevention as well as the acceptance of disabled models in the fashion and modelling industries; she was also named in the Forbes 30 Under 30 list. 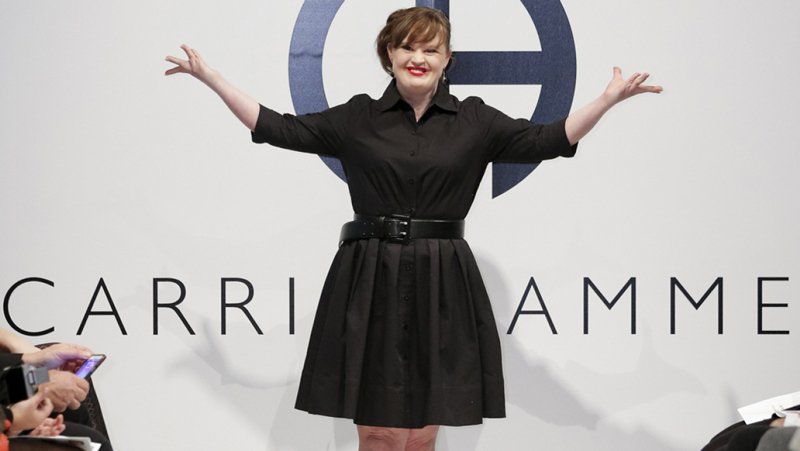 Most famously known as an actress in TV show American Horror Story, Jamie Brewer became the first model with Down syndrome to walk a fashion runway in New York Fashion Week when she walked in Carrie Hammer’s “Role Models Not Runway Models” show in 2015. Jamie is a strong activist for the Down syndrome community; she was elected as the youngest ever president of the Arc of Fort Bend County, an organisation which helps people with developmental and learning disabilities thrive. Her iconic walk down the NYFW catwalk made huge waves in the modelling industry and broke down major barriers for disabled models. 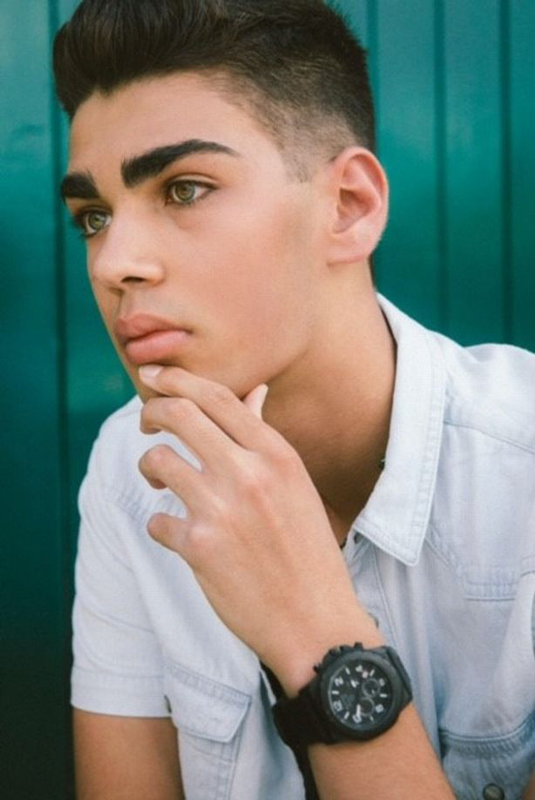 Rafi Solaiman is a 17-year-old making big changes in the modelling industry. 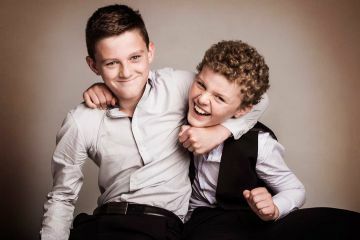 At just 12 years old, he suffered a brain haemorrhage, meaning he had to learn how to talk and walk again; his memory was also severely affected. 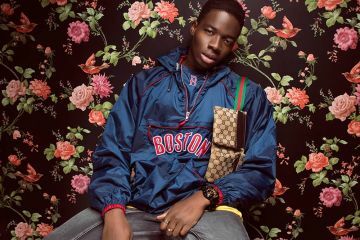 He now speaks with a speech impediment and needs a walking frame or a wheelchair to get around but doesn’t let that stop him from achieving his dream of being a model. 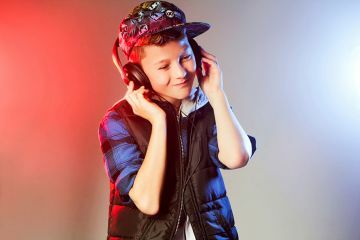 Rafi has walked a runway in a charity show and has appeared in a CBBC documentary called My Life: Changing the Face of Beauty. He intends to pursue a runway modelling career. 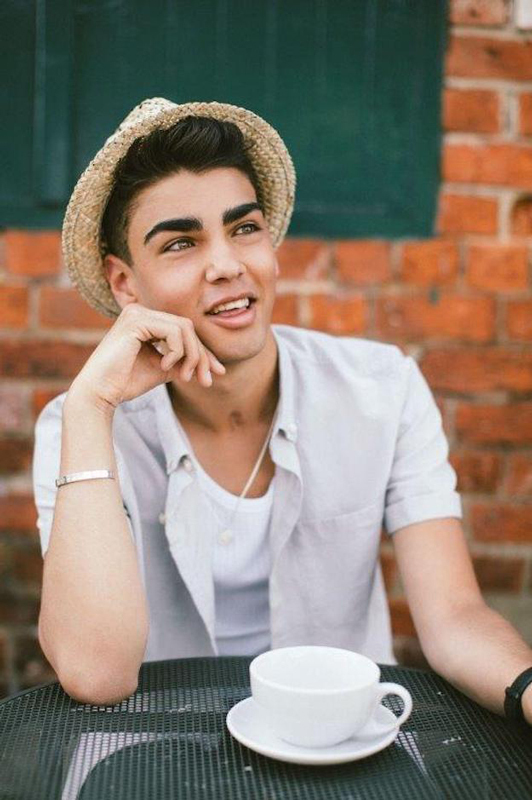 Rafi regularly meets with people within the modelling industry to persuade them to include disabled models in their campaigns or on their websites. Paola Antonini is a 24-year-old model and social media influencer from Brazil. In 2014, Paola was hit by a drunk driver, which resulted in her leg being amputated. 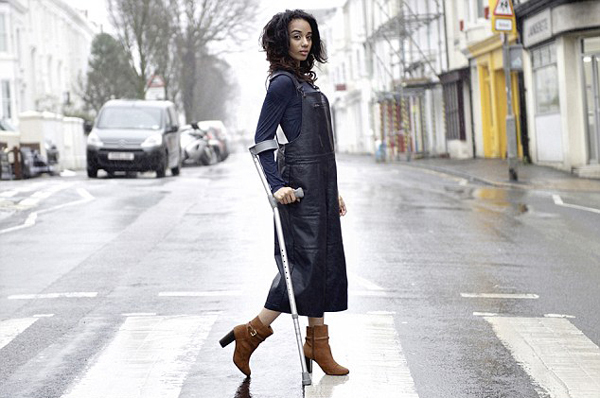 She now wears a prosthetic leg and didn’t for a moment consider quitting modelling. Paola is involved in marketing campaigns for Neutrogena, The Body Shop, Under Armour, and Nissan, and regularly walks catwalks in Brazil. On top of her modelling career, Paola is a columnist for Glamour Brazil, has spoken at a TED conference, and is completing a degree in journalism. 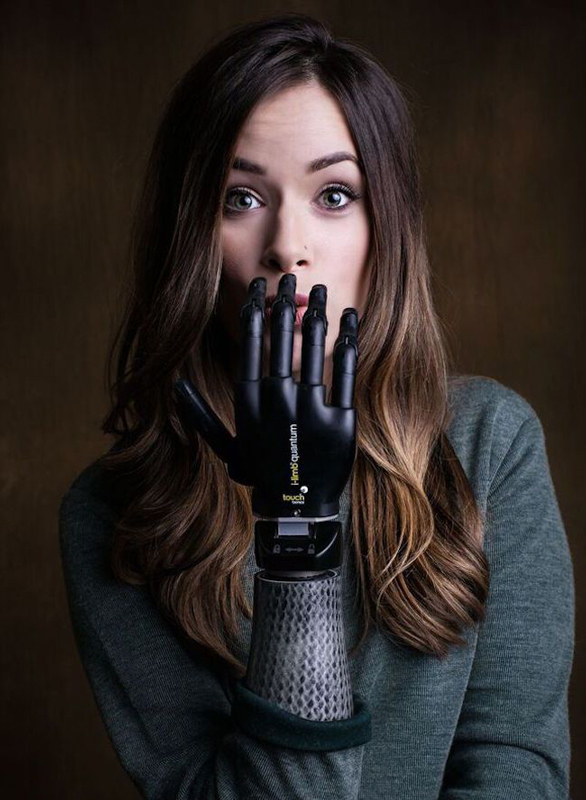 Known to many as the “bionic model”, Rebekah Marine was born without a right forearm and wears a bionic arm. When she first started modelling, Rebekah wore a prosthetic forearm because she was insecure about her difference. But a photographer suggested taking a few shots without the prosthesis, and since then she rarely wears a prosthesis or her bionic arm in shoots. She has been featured in Time, US Weekly, Cosmopolitan, Teen Vogue, Nordstrom’s 2015 anniversary catalogue, and People Magazine. She walked the 2016 FTL Moda show in New York Fashion week alongside Gianna Schiavone, a 6-year-old who was born without a left forearm. Nowadays, Rebekah is part of the campaign for Tommy Hilfiger’s adult adaptive clothing line and is an ambassador for the Lucky Fin Project, an organisation that educates people about the disabled community and what it’s like to live with disabilities. Madeline Stuart is a 20-year-old model with Down syndrome from Brisbane, Australia. Her weight-loss journey, which began in 2015, caused Madeline to go viral online; she lost over 20 kilograms and an amazing modelling career quickly followed her body transformation. Madeline made history at New York Fashion Week in 2015 in the Hendrik Vermeulen show as one of the first models with Down syndrome to walk the runway. Since then, Madeline has walked in Art Hearts Fashion Week, Mercedes Benz Fashion Week China, Style Fashion Week, Melange Fashion Week, Runway Dubai, Sunshine Coast Fashion Festival, and Birmingham Fashion Week. She has appeared in Vogue, Teen Vogue, Cosmopolitan, Woman’s Day, Women’s Weekly, Elle, New York Times, People, Marie Claire, Huffington Post, and many more. She was also named Model of the Year in 2016. 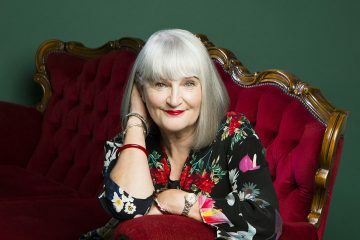 As well as her hectic modelling schedule, Madeline finds time to oversee her dance school in Brisbane, Inside Outside Dance Ensemble, design a line of clothing called 21 Reasons Why, and compete in the Special Olympics. 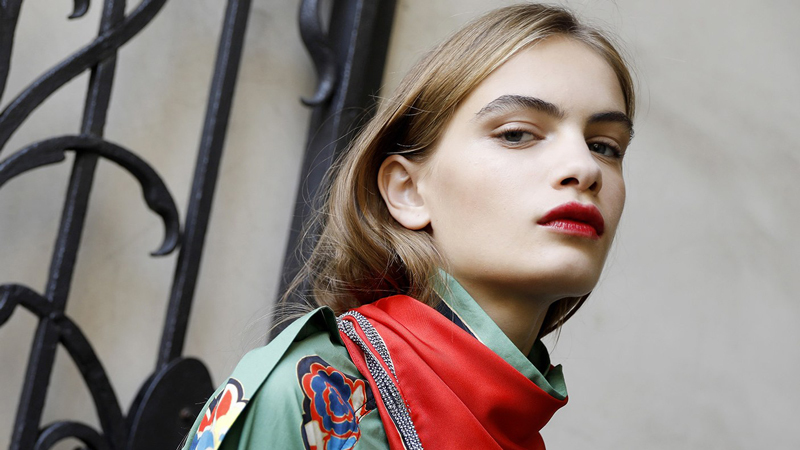 Nina Marker was scouted at a McDonald’s in 2014 and was quickly snatched up by Elite Model Management. She has walked the runway for Chanel, Dior, Alexander McQueen, Stella McCartney, Valentino, Givenchy, Fendi, and Versace, among many others. Nina is an advocate for the Autistic community, as she herself has Asperger’s. She has talked openly about being treated differently when she was young and the depression she experienced following that; she is passionate about creating awareness for Autism and wants to show people that Autistic people can do anything they want to do. 6-year-old Gianna Schiavone was born without a left forearm, but she doesn’t let her age nor her missing limb hold her back from her dream of being a runway model. Gianna met fellow disabled model Rebekah Marine through the Lucky Fin Project and in 2016, they walked the runway together in the FTL Moda show at New York Fashion Week. Gianna said she loved walking with Rebekah in the show because it made her realise that “there’s not just one me in the world”. 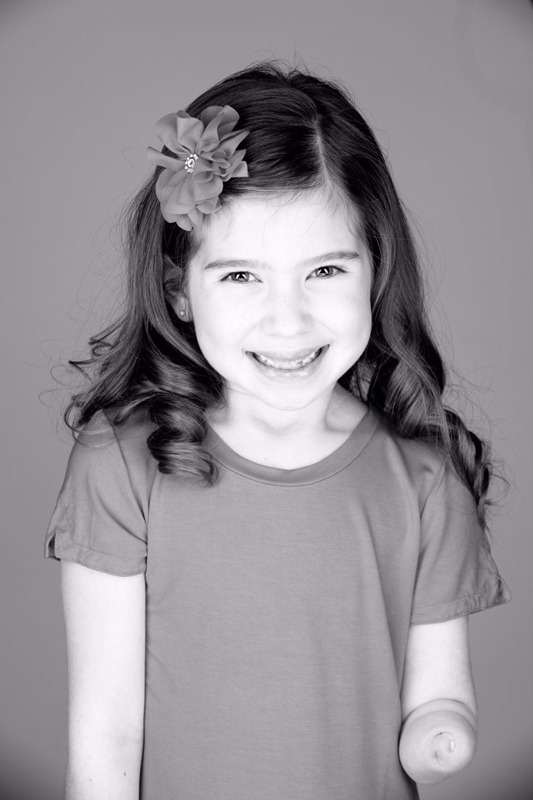 Gianna is an ambassador and model for Runway of Dreams. Gianna says if she could meet anyone in the world, it would be Tommy Hilfiger so that she could thank him for making clothes that make it easier for her to get dressed. She loves wearing long dresses, lip gloss, and high heels. Nicole Kelly is a pageant queen with a bionic left arm. She was crowned Miss Iowa in 2013 and competed in Miss America in 2014, making her one of only two disabled models to compete in the Miss America pageant. She now works as a motivational speaker, educating people about disabilities and what it’s like to live with a disability. She is an ambassador for CoApt, the company that designed her bionic forearm, and the Lucky Fin Project. She also keeps a toe in the modelling pool as a model for the Tommy Hilfiger adult adaptive clothing line. Nicole has a Bachelor of Arts as well as a Master’s degree in broadcast journalism. A video went viral in 2017 of Nicole trying to open a beer with her bionic hand, which has raised tons of awareness about what it’s like living with a disability. Shaholly Ayers has always dreamed of being a model. She was once told that she should give up her dream because it was impossible to become a model without a right forearm, but she pursued modelling regardless. Her big break into the modelling industry came when she was asked to model for Nordstrom’s print catalogue. Following that, Shaholly walked in New York Fashion Week for six consecutive seasons; the first five seasons for FTL Moda and the sixth season for Art Hearts Fashion and CLIO. She has graced the pages of many publications such as GQ Italia, GQ Japan, US Weekly, Glamour, People.com, SHAPE, Women’s Health, and various Nordstrom print catalogues. Shaholly works as a brand ambassador for Global Disability Inclusion, a 100% woman-and-disability-owned organisation that works with different companies to increase the inclusion of people with disabilities in the work force. After suffering a rare form of bone cancer called Parosteal Osteosarcoma in 2014, Elesha Turner had almost all the bones in her left leg replaced with titanium; this means she now relies on a crutch to walk. Elesha was originally signed with Models of Diversity and became one of the faces of the agency alongside Jack Eyers. 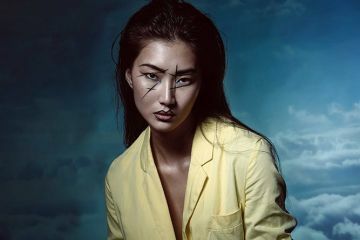 She was recently picked up by MK Model Management but still models in campaigns for Models of Diversity. Elesha says that modelling can be tough at times, such as when she has to stand for long periods of time and when there are certain poses she can’t do, but all in all she loves being able to follow her passion and wants to encourage other aspiring disabled models to do the same. Where is the industry headed in terms of disability inclusion? The increasing awareness and acceptance of disabled models in the modelling industry is amazing, but there is still a long way to go. 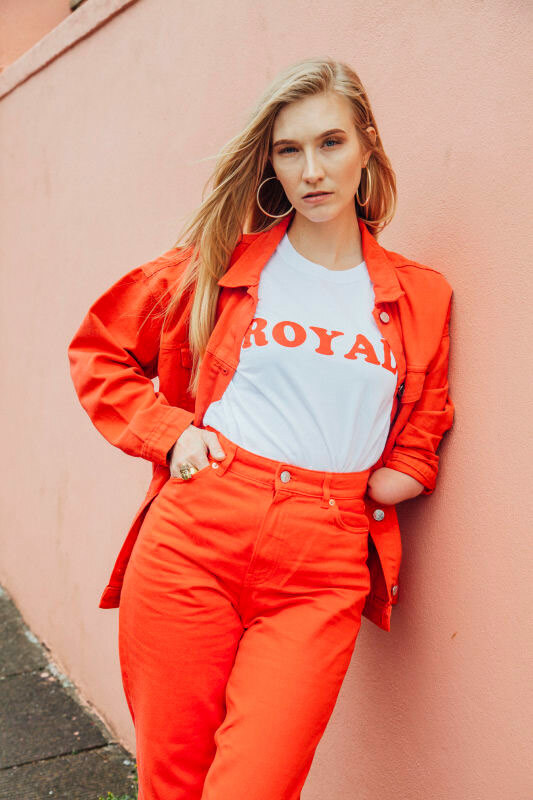 Many disabled models struggle to get signed to an agency because of their disability – Alexandra Kutas was once told that she wouldn’t be picked up by an agency because “the market isn’t ready”. 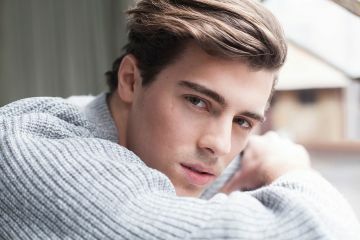 There is a distinct lack of male disabled models in the industry; it would be awesome to see more opportunities for male models with disabilities. There is also the problem of companies hiring disabled models because they are disabled, rather than because they’re good models. 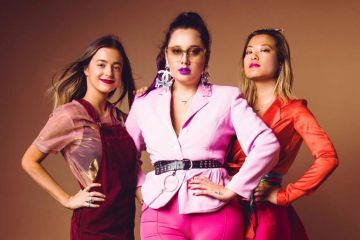 Despite these lingering issues, the industry is slowly becoming more inclusive of models of all shapes and sizes, and more opportunities for disabled models are opening up every day. Love how disabled models are embraced. I would love to become one how do I go about it ? HELLO MY NAME IS KA ROUSE I WOULD LIKE TO GET STARTED DO HANDYCAP MODELING I’M IN A WALKER WITH A LEFT LEG BRACE. How can I get my mom signed up for modeling?